Nearly immediately upon our arrival in Zambia last March, Melissa and I were asked about Donald Trump (or in some cases, Donald Trumpet). What did we think of him? Would he be elected? With a little embarrassment, we each tried to answer these questions delicately and honestly for our new friends here. As we did, we both wondered if the Zambian people, who have been so warm and welcoming to us here in our new country, would be welcomed in the same way in the U.S. by those who do support Trump’s campaign, given their comments directed towards immigrants. A few days ago, a very dear friend sent me a message on Facebook, asking if my account had been hacked. The reason for his query stemmed from my posts about Trump, which for the most part consisted of sharing critical articles, and my posts about the University of Texas football team (my friend matriculated at UT). I’ll address the Longhorns first; I know I can sometimes take ribbing directed towards my UT friends too far, so my apologies for doing so. Please, please don’t lose to Iowa State tomorrow; I don’t need another temptation. But if anyone is expecting me to apologize for my opinion about Trump’s fitness for serving as a president of the United States, don’t hold your breath-it isn’t happening. As I mentioned above, Melissa and I have been welcomed, embraced and loved by everyone we’ve met here. Yes, we are muzungu, and will never be completely Zambian, but that doesn’t seem to matter to them, or us. We are bound together by our faith in Christ. It makes me sad that our country, the U.S., is so divided, and that much of that division comes from fear and hateful rhetoric, directed at immigrants, minorities, the impoverished and the marginalized-the very people Jesus sought out during his life on earth, and in fact, what Melissa and I are in Zambia. Not only did Jesus minister to these folks, but he also spoke out for social justice on their behalf. Regardless of the outcome of the U.S. election, our country is in dire need of healing. I hope with that healing comes a renewed focus on what it means to love our neighbor. A good example might be the way Melissa and I have been welcomed and shown love here in Zambia. P.S. 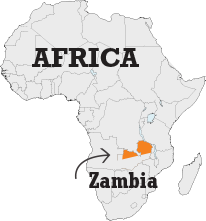 By the way, it gives us great joy to learn that our church in the U.S., Northwood Presbyterian, has just received two new members from Zambia. It’s hard to believe we’ll have been in Zambia for six months next week. 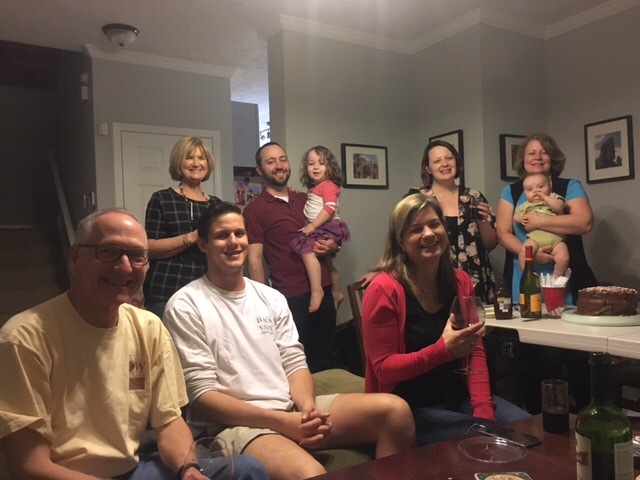 It seems like only yesterday when we stood on the front porch of Hartsfield-Jackson Atlanta International Airport, hugging our kids and grandkids, all wiping our eyes, and getting on the plane to a new place, and a new beginning. Time and time again, our decision to follow God’s call in our lives to this place, at this time, has been reaffirmed. And sometimes I wonder why we didn’t act earlier to respond to that call. But then I remember life’s a journey, and we just hadn’t reached that stage of the journey yet. With Labor Day coming and going, Melissa and I now begin the real work we were called here to do. My teaching duties will start later this month, and I’m putting the final touches on my preparation for Agricultural Science I. Because the faculty at Chasefu Theological College and Model Farm is composed of visiting lecturers, each course is taught in a one week block, from can until can’t, as my dad used to say. I’ve prepared my syllabus/course outline, and we will begin class each day at 7:30 AM, and continue until late afternoon. After dinner each night, I will meet with the seminary students at their hostel, watch a film and have a discussion on a pertinent agricultural topic. I met this young man during a recent visit to Kasisi Agricultural Training Center, where it’s clear they hire only the brightest and best. The drive from Lundazi to Chasefu is only 28 miles, but the road is pretty rough; in fact, it compares to some we’ve traveled on in Congo. Because of that, I’ll stay at the almost-completed lecturer’s house. It is nice, but no electricity, and water must be carried from the borehole, about 50 yards away. But I’m looking forward to my stays, as Chasefu is a beautiful, peaceful place. During a recent visit to Chasefu Theological College, we were fortunate to meet some of the seminary students who will be taking my course, Agricultural Science I. During the recent biennial CCAP Zambia Synod Meeting in Lusaka, Melissa’s position as Administrator-Health Education Programs, was formalized and approved. I won’t steal her thunder by going into great detail, but in short, she will be working in the CCAP Zambia Health Department, working to build capacity, and coordinating training programs. You know how hard she works at something when she puts her mind to it, and I know she will do a great job. 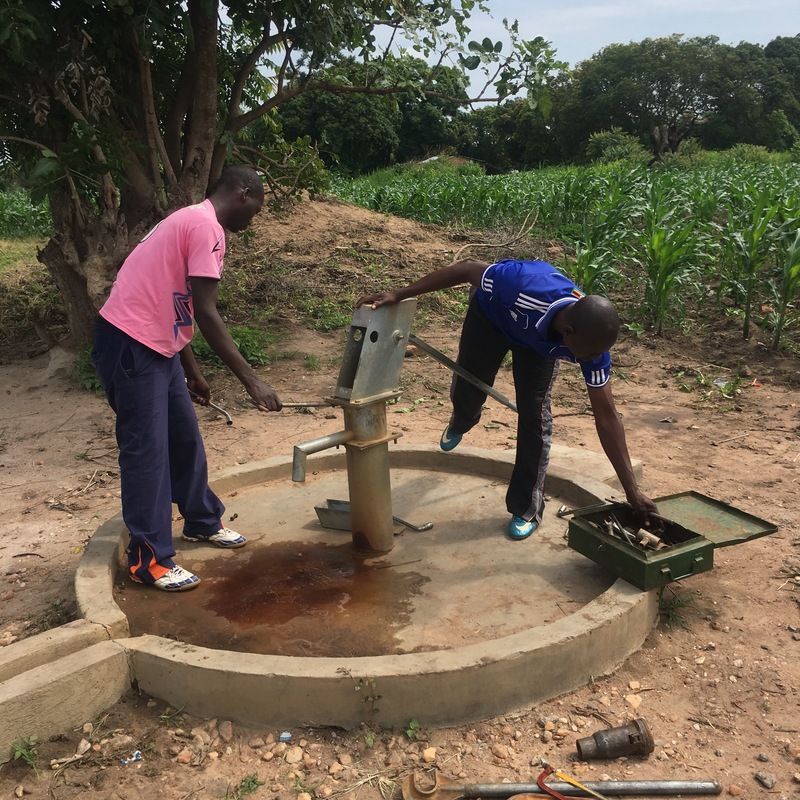 Melissa tells attendees at the recent Synod Meeting about the fundraising efforts of one of our supporting churches, Liverpool (NY) First Presbyterian Church, to provide three villages with clean water through the work of the CCAP Zambia Shallow Wells Department. Melissa and I enjoyed attending our first Synod Meeting, and we were reminded of the close connection among all Presbyterians, wherever they may be. 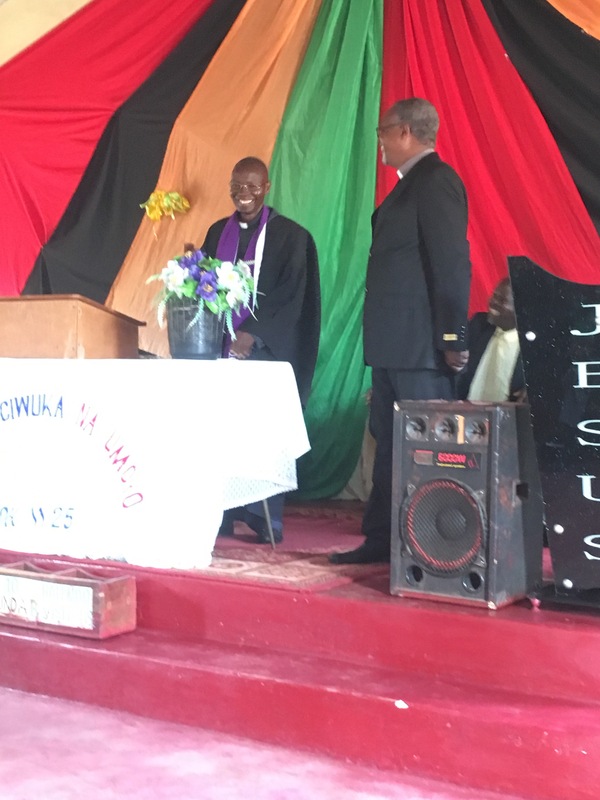 Nothing brought this home more than when the new moderator, Reverend Abel Banda proclaimed, “We are Presbyterian, we must vote!”, to begin the process of electing the new General Secretary of the Synod. Outgoing CCAP Zambia General Secretary, Rev. Maleka Kabandama (standing), and Rev. Abel Banda, the new Moderator (seated), preside over the recent Synod Meeting in Lusaka. In between our regular duties, we will continue to work on our mastery of Chitumbuka, with the hope that one day soon, we’ll have the proficiency of a first grader. I believe we are approaching that of a three-year old as of this writing. We look forward to our time learning with our teacher, Judith Mwanza, who has become a good friend. Not only is our friend, Judith Mwanza, an exceptional language teacher, but she’s also a leader in our church, in the Christian Women’s Guild. She’s pictured here, making a point during one of the many discussions held at the recent Synod Meeting in Lusaka. Contact Tom O’Meara to learn more about Mission Co-worker Sunday. We are also quickly approaching the end of the year from a fundraising standpoint. 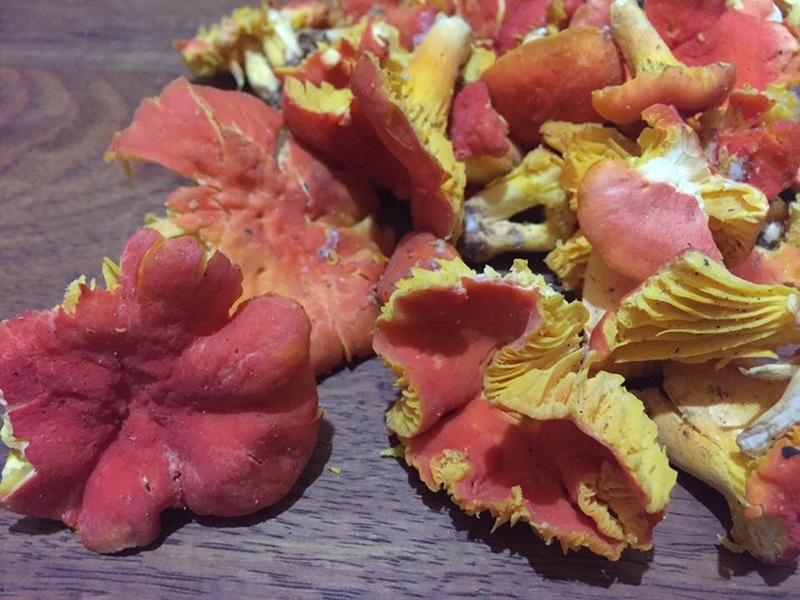 Many of you have supported our work financially, but we need more help. Maybe you’ve thought about making a contribution, and then gotten busy and forgotten. Melissa and I would be most grateful to receive a donation from any and all of you before the end of the year. The Presbyterian World Mission website has been getting a makeover, and while it is a big improvement over the old site, it still has some glitches which are being corrected (we hope). One page which has caused some confusion is our giving page. For any of you who would like to make a donation, perhaps this image will help avoid that confusion. Or you can go straight to our donation page by clicking on the link shown in the caption, below the photo. Support the work of Charles and Melissa Johnson with a gift today. Melissa and I enjoy a beautiful Zambian sunset at South Luangwa National Park, where we met a mission team from Westlake Hills Presbyterian Church (Austin, Texas) in late June. Melissa and I want to thank each and every one of you who support us, in whatever way you are called to do, be it in prayer, financially or both. Without your partnership, we would be unable to do the work we are called by God to do in Zambia. And if you have any prayer needs, please let us know, so we can support you in that manner. Soon after moving into our house in Lundazi, we began hearing visitors knocking at our gate each morning, around 0700 hours (we’re on military time here in Zambia-that’s 7:00 a.m. for those who are unaccustomed). The first time we heard someone banging on the metal gate that early, we had no idea who it was, or what they wanted. But to our pleasant surprise, we had village ladies with various types of fresh fruits and vegetables for sale, and we now look forward to their daily visits. Another woman came to our gate back then, looking for work. As it turned out, she lives just a few houses away from us, and she wanted to know if we were looking for someone to work around the house. Melissa and I were on the fence about hiring someone. On one hand, we didn’t know if we needed a housekeeper; we didn’t have one in San Antonio. On the other hand, hiring workers here provides much needed jobs for folks in Lundazi. We discussed the idea of hiring someone with Reverend Chiboboka, and we learned he had already begun taking applications from some women, so we told our neighbor, Charity, she could go to the CCAP Mission Station to apply. After gathering several candidates, he led the interview and selection process, with a three-person panel comprised of church folks. Melissa sat in and observed, but didn’t participate. When the dust settled, the panel favored the person who Melissa hoped would be selected, our neighbor, Charity. It’s now been about a month since Charity began working for us. She arrives each day with a smile on her face, and goes to work. She’s shown Melissa how to make nshima, and Melissa’s shown her how to make cornbread. She is also a resource when we are stumped, searching for a Tumbuka word. Charity shows great pride in her work and does a great job. One evening, about the same time Charity began working for us, we came home from visiting the Petro family (they are Baptist missionary friends who’ve been in Lundazi just over three years). As Melissa walked up to the gate to open it, she saw a small snake (njoka) slithering away. We told ourselves it was some sort of non-venomous grass snake, but the next day I bought a hoe (jembe), with an extra long handle at our neighbor, Chiza Banda’s hardware store. Melissa visits with our friends and neighbors, Chiza and Lukwesa Banda, at their hardware store. Charles’ jembe, with a custom, extra long, handle. Over the past few years, when we’ve traveled to Congo, I’ve noticed women bent over at the waist, sweeping the the dirt around their houses with a short, handmade broom (chitanyero), and we’ve noticed women doing it here, too. Charity sweeping with her chitanyero. If you look at the ground afterwards, you’ll see a series of sweeping arches in the dirt, forming a neat, pretty pattern. I always thought it was odd for the ladies to sweep the dirt like that, but then someone told me they do it so they can see if a snake has slithered across the swept patterns on the ground, near their house. I don’t know if that’s true or not, but it makes perfect sense to me, and we were glad to see Charity incorporate that activity into her daily routine. We also take some comfort in the fact that growing up in South Texas has taught us to keep a close eye on the ground when walking. Swept patterns in the dirt surrounding our house in Lundazi. One morning I walked outside and asked Charity if she’d seen any evidence of njoka and she replied, “No.” Knowing she had lived nearby for several years, I asked her if she’d ever seen any snakes here, and she told me she found a spitting cobra in her house about three months earlier. A spitting cobra from Mozambique. I asked her what she did, and she said she killed it with a stick, but not before she spit at the cobra first. I believe we found the right person for the job! With each passing day, we become more settled here. Now when we walk to town, people call our names and waive at us – we’re making new friends everywhere we go. Our language studies are progressing well, too, and we are confident in our calling from God to be here with the people of Lundazi and Eastern Zambia. Maize harvest is underway in the Lundazi area. We are well into the dry season, or chihanya, and our friends and neighbors are already preparing for zinja, the hunger season, by storing bags of maize in their homes. As I’ve mentioned elsewhere, the effects of malaria are real in Lundazi, and we continually see friends who are recovering from the impact of this disease. Please pray for the people of Lundazi and Zambia. We also ask that you please continue to support our work, with your prayers, and with your donations; both are needed. If you would like to contribute, please visit either, https://www.presbyterianmission.org/donate/E200534/, or if you would prefer, donate through Crowdrise, visit http://tinyurl.com/j25nv8b. May the peace of Christ be with each of you. 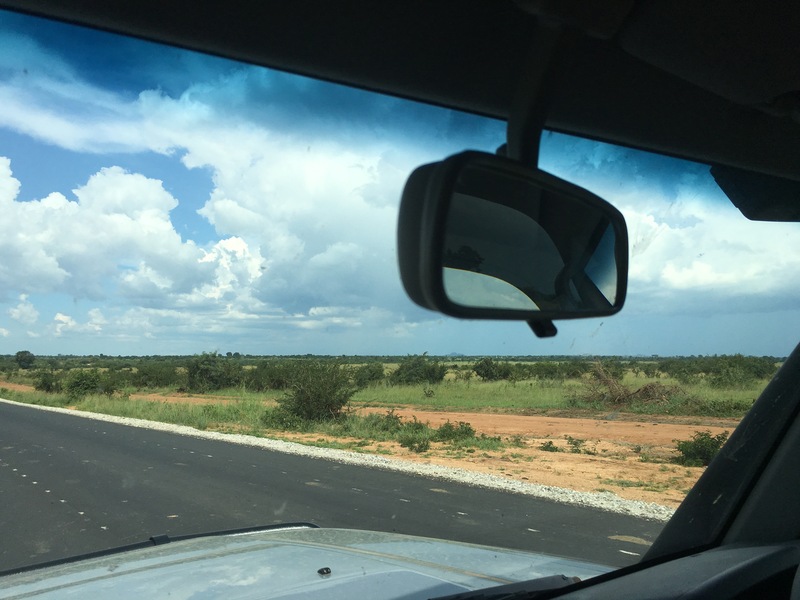 As we prepared to leave for Zambia last week, we experienced a wide range of emotions. Our son, Brien, came to Atlanta, where we could spend time together as a family. On Saturday evening, our daughter, Meagan hosted dinner for us, our family, and our dear friends, Jimmy, Jan and Cobi Shafe. It was very special to be surrounded by loved ones. On Sunday morning, we were able to attend worship at our daughter’s family’s church, and witness the dedication of our new grandson, Max. 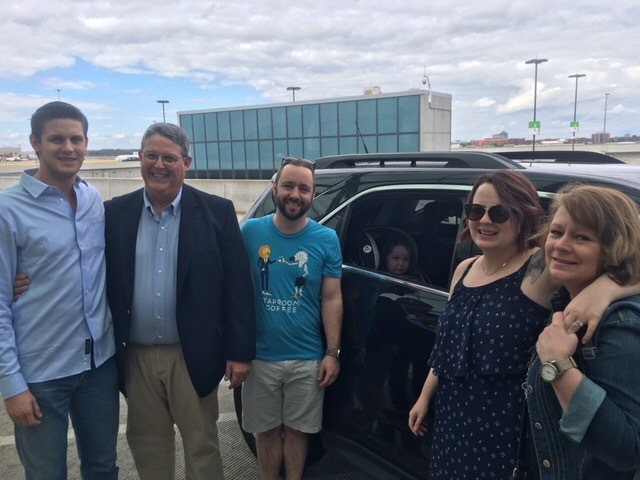 Following lunch, it was time to head to the airport with our twenty bags, where we said our tearful goodbyes to Brien, Meagan, Eric, Lucy and Max in front of the Atlanta-Hartsfield International terminal. Our bag check-in (20) went surprisingly well, and we were finally on our way. Or so we thought. After boarding, we sat on the plane, at the gate, for nearly four hours, while the crew dealt with a mechanical issue. This delay caused us to miss our connection in Johannesburg, South Africa on Monday. Fortunately, Delta covered the cost of our overnight stay at the Protea transit hotel, located in the terminal. A good night’s sleep, and no bags to check on Tuesday morning. We finally arrived in Lusaka, just after noon on Tuesday, where we were met by our supervisor, Nancy Collins, Rev. Dr. Victor Chilenge, who is Moderator of CCAP/Zambia, and heads the Projects and Development Department, and Rev. Gerald Phiri, who heads the HIV/AIDS program for CCAP/Zambia. But, only 9 of our 20 bags arrived (since then, another 10 have arrived, with only one remaining lost). Melissa went with Nancy, while I went with Rev. Phiri to the immigration office to pick up my work permit. The next day was spent at the customs office, working to have our vehicle cleared at the border (we hope we will be able to get it early next week). 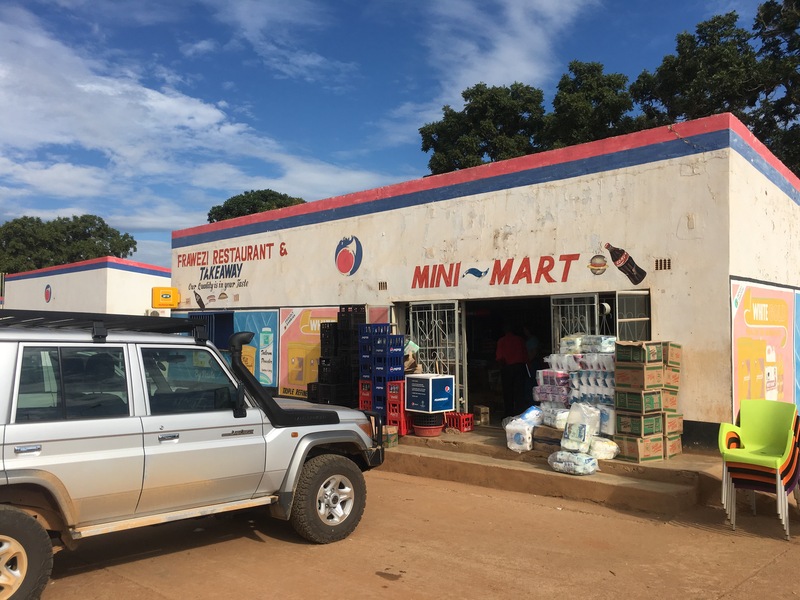 We’ve also been doing other various housekeeping chores, and shopping for some essentials, and on Thursday, we met with the leaders of the Synod of CCAP/Zambia, where we were welcomed, and learned more about the work of our partner church and how we will fit into that work. 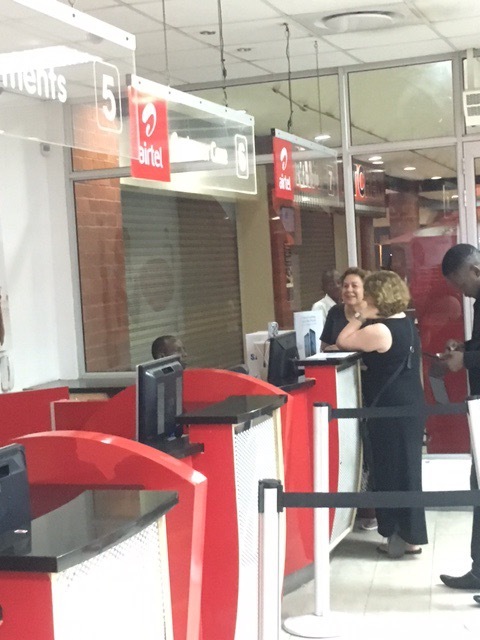 Melissa purchasing a SIM card with a Zambian cell number. As many of you know, Melissa and I waited for sixteen months for word of our invitation to serve as Presbyterian mission co-workers in Zambia. Yesterday, we learned that our partners had been waiting since 2011 to fill the position I was hired for, working as a development specialist. In remarks by Rev. Phiri, I fought back tears as he welcomed us. And he shared an African proverb, which I wish I had known when we applied in February of 2014: Walking slowly does not prevent a person from arriving. So what are our initial thoughts after being here five days? First, we are finally where we are meant to be. We have been surrounded by love from the moment we stepped off the plane. And we are excited about the work we will be doing here. Second, Lusaka is a beautiful, modern city. Third, we are also excited about experiencing our first Easter in Zambia. Fourth, we are looking forward to arriving in Lundazi, where we will make our new home. Now if South African Airlines can just find the one lost sheep/duffel bag with all of Melissa’s clothes in it we’ll be in business. 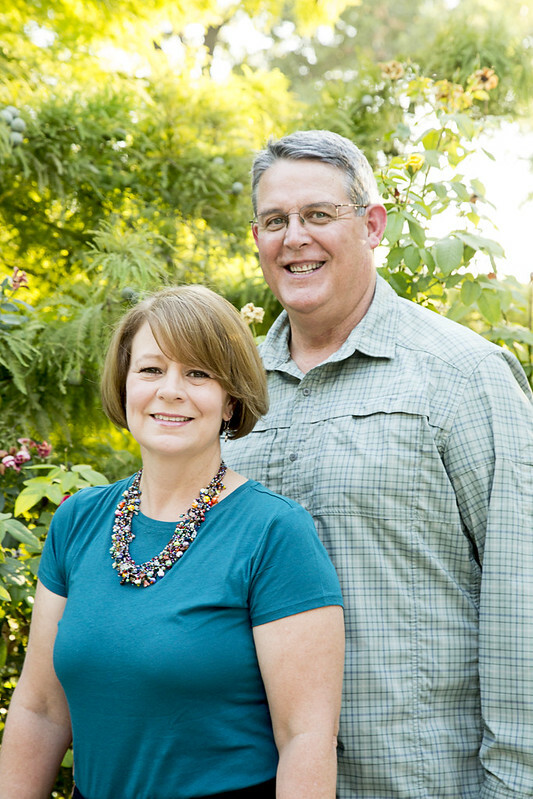 Please keep us in your prayers as we continue to settle into our new life as mission co-workers in Zambia. One thing Melissa and I have been doing is working to expand the footprint of our fundraising efforts to support our work in Zambia. Of course we’ve been putting in work, in the traditional manner, scheduling trips throughout the U.S., since beginning our sending interpretive assignment last November. But we recently began using some other tools. No, we don’t want to replace the tried and true method of meeting folks face to face, where they are. But we do want to reach others who we can’t connect with by other means. Recently, after some discussion, we were given the green light to use Crowdrise, an online crowdfunding platform, in our fundraising efforts. 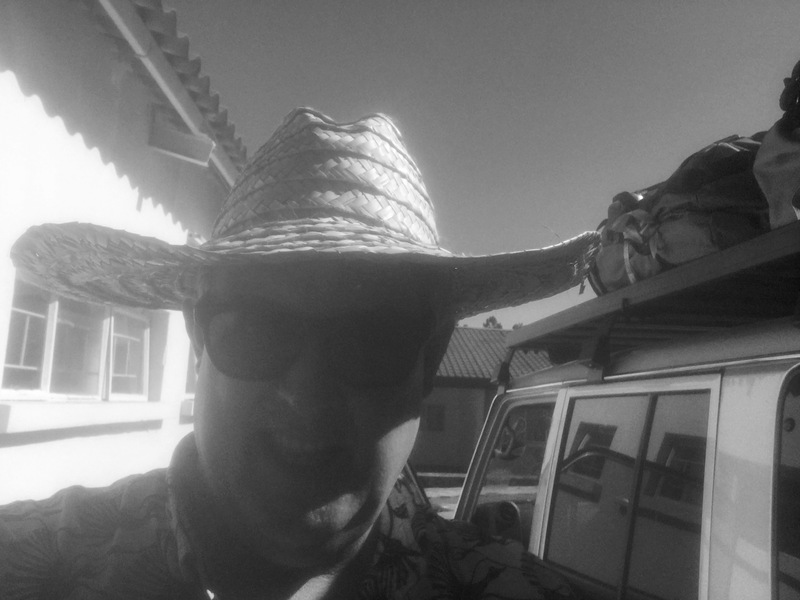 Melissa and I have both used Crowdrise previously in other fundraising, with good success. 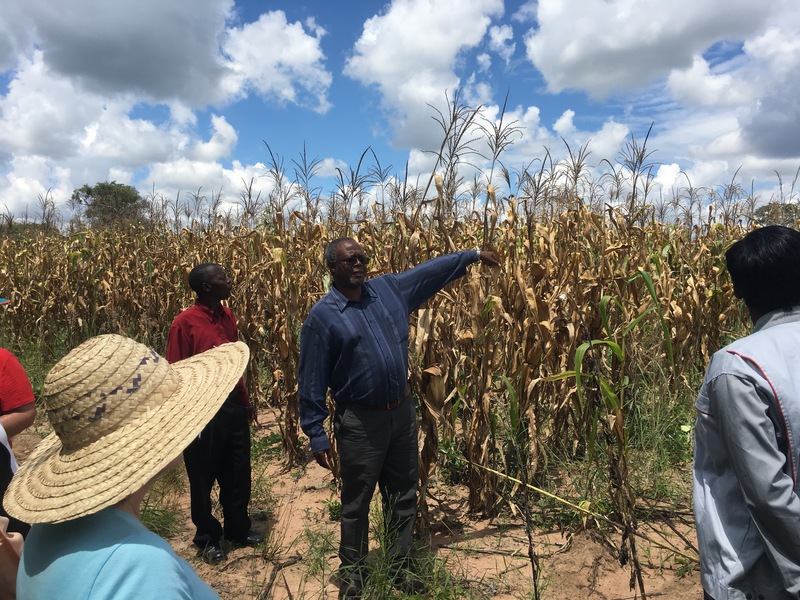 Crowdrise has a global reach, and even if a person chooses not to donate after reading about our work, he or she has still learned about our work, and the work of Presbyterian World Mission, in Zambia. If you would like to visit our Crowdrise fundraising page to learn more, click this image. We are also incorporating the use of Thunderclap to spread the news of our Crowdrise fundraiser. If we can have a 250 or more visit and share our Thunderclap site by March 24, 2016, our message about our Crowdrise fundraiser will be shared over the internet, via social media, to a massive number of folks. But we really need your help. Please click on the Thunderclap link below, then click on the tabs to share on Facebook, Twitter and Tumbler. We only have a couple of weeks remaining to get to the 250 needed. Please help us share the message, by sharing the link to our Crowdrise fundraiser, and by sharing our Thunderclap.